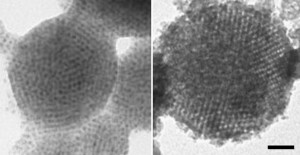 The spontaneous or directed assembly of preformed nanoscale building blocks into organized structures such as linear chains, meso-crystals or hierarchical hybrid arrays provides a unique approach to advanced materials that exhibit architectures and functions across multiple length scales. This approach – termed “nanotectonics” – is based on the programmed organization of inorganic and organic nano-objects using a range of design concepts such as nanoscale surface engineering, periodic confinement and non-equilibrium instability thresholds. A.J. 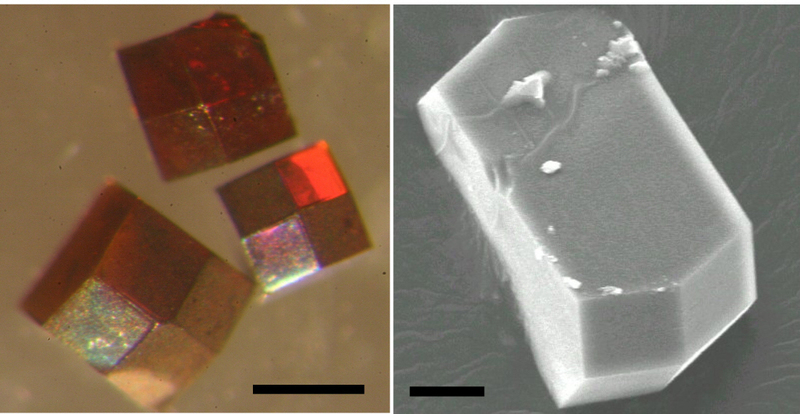 Patil, M. Li and S. Mann, Nanoscale 2013, 5, 7161-7174. O.L. Muskens. M.W. England, S.J. Hyett, M. Li and S. Mann, Adv. Funct. 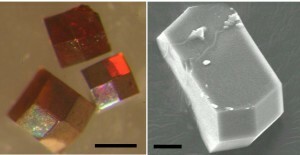 Materials 2013, 23, 281-290. A.J. Patil, Y.-C. Lee, J.-W. Yang and S. Mann, Angew. Chemie Int. Ed. 2012, 51, 733-737. R.F. Fernandes, E. Dujardin, M. Li, S. Mann and A. G. Kanaras, ChemComm. 2012, 46, 7602-7604. M. Li, S. Johnson, H. Guo, E. Dujardin and S. Mann, Adv. Funct. Mater., 2011, 21, 851-859. E.M.Lambert, C. Viravaidya, M. Li and S. Mann, Angew. Chemie Int. Ed. 2010, 49, 4100-4103. M. Guli, E.M. Lambert, M. Li and S. Mann, Angew. Chem. Int. Ed., 2010, 49, 520-523. E.M. Lambert, C. Viravaidya, M. Li and S. Mann, Angew. Chem. Int. Ed., 2010, 49, 4100-4103. B. Hu, M. Li, S. Sadasivan, A.J. Patil and S. Mann, Nanoscale, 2011, 3, 1031-1036. S. Mann, Nature Mater. 2009, 8, 781-792.